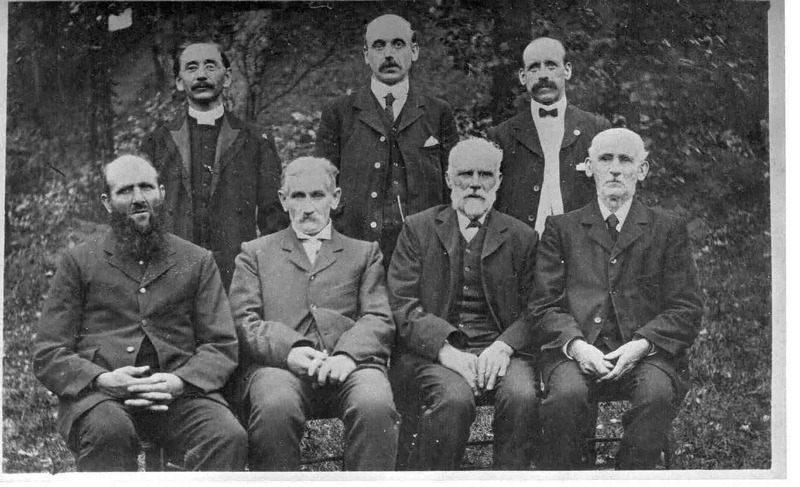 Minister & Deacons of Killamarsh Congregational Church. 1917 or before. See note below. Photo courtesy of Mr V. Hopkinson. Septimus Taylor was also my great grandfather ,I was led to believe he provided some of the money to build it. Septimus Taylor was my great grand father. It was such a glorious building that I am curious as to how the money was raised to build it! Photo taken between the Church and the Manse. Standing (left to right): Rev G.L. Jenkins, George Ward, Herbert Bailey.